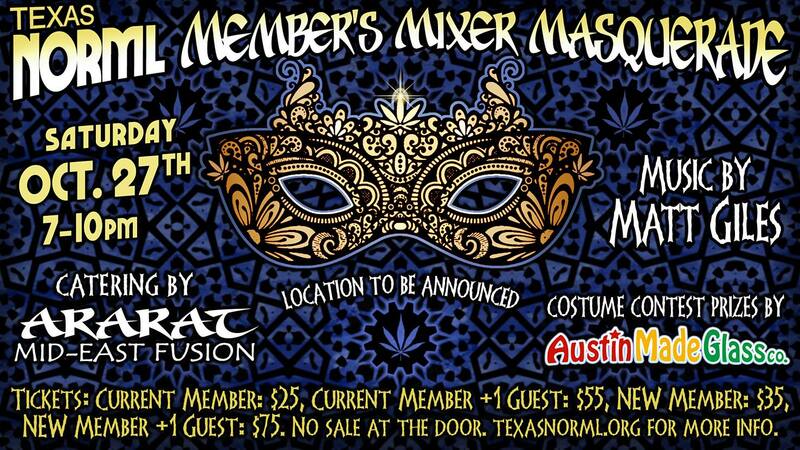 Texas NORML is proud to announce our Masquerade Mixer! This is a private event for members and their guests that will be held on Saturday, October 27th, 2018 at a downtown Austin venue. Come enjoy networking with fellow advocates! Current Members, access code will be sent out via email. No tickets will be sold at the door. Ticket sales end on Tuesday, October 23rd, 2018. This event will be catered by Ararat Mid-East Fusion. There will be delicious food with vegan and gluten free options. We will also enjoy live music from Matt Giles. You can participate in our costume contest with prizes from Austin Made Glass. Our theme this year is “Moroccan Masquerade”. We will be giving out prizes for Best Individual, Best Group (up to 4 prizes) and Best Theme. Costumes are not required for this event. 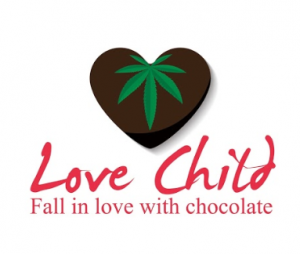 First 60 tickets sold will get goodie bags! Note that there are several sponsorship options that come with tickets. Your sponsorship allows us to host a high quality networking event in the Capital City. This is a time to celebrate accomplishments and express appreciation for the dedication, support and hard work members show throughout. Please consider becoming a sponsor at one of the three offered levels. Email [email protected] for details.